Windows 10 may have been released to the public over two months ago, but that doesn’t mean Microsoft has been resting on its laurels. The company today announced the latest preview build of its OS, and it includes numerous features aimed at making Windows a bit more user friendly. First up, Microsoft has significantly tightened up Skype integration in Build 10565, with messaging and calling features now directly available from the Messaging, Phone and Skype universal apps. You’ll also now be able to reply from messages directly from notification pop-ups. Edge is getting a couple of new features too: hovering over tabs will show a preview of that particular website, and you’ll know be able to sync your Favorites and Reading List items. Meanwhile, Cortana is now able to understand handwritten notes, so you’ll be able to create a calendar appointment through handwriting if you’re using your computer in tablet mode. It’s also learning some tricks from Google Now, being able to keep track of your movie and event tickets based off of your emails, and it will even remind you when to leave to make it there on time; plus it can hail you an Uber, too. The UI is getting a slight refresh, including allowing you to set darker colors for the title bar, a bunch of new icons (Device Manger is finally leaving the 20th century! ), an improved context menus to be easier to use with both a touchscreen or a mouse. 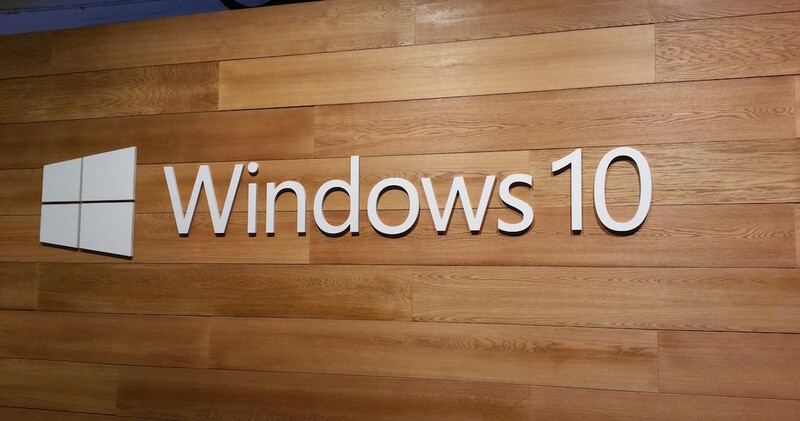 Finally, Microsoft is making it easier to activate Windows 10 after some hassles during the initial launch. Basically, if you were having problems with the automatic activation process, you can now simply use your Windows 7 or 8 product key instead. The build is part of the Windows Insider program, which allows any Windows user to sign up and submit feedback for the latest features Microsoft is cooking up behind the scenes. The company has previously said that Windows 10 would be the last version of Windows, so it’s constantly working on adding features and says it takes feedback into account to upgrade the OS in meaningful ways without the need for a full version number upgrade. Some other features included in post-launch Insider builds include more color theme options, expanding Cortana to more territories and making it easier to replace snapped windows in Tablet mode. As usual though, proceed with caution – early builds means bugs are bound to be around. For more on the included features and known issues, check out Microsoft’s post at the source link below.